Vivo's New Product Increasingly Makes Us Curious, Like What's The Picture? INDUSTRY.co.id - Jakarta - The news about the latest smartphone to be launched Vivo increasingly widely heard in social media. 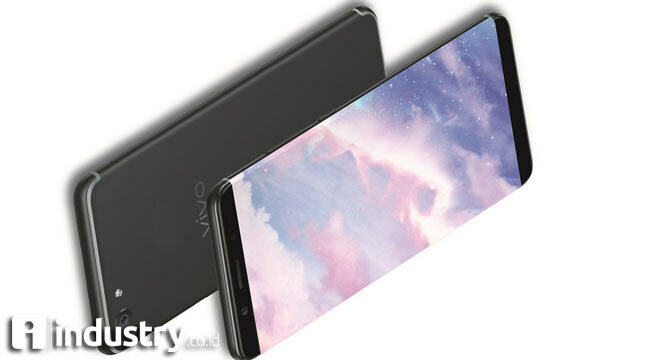 Really Vivo will be ready to pamper Indonesian consumers with various technological advantages and features the latest screen on the latest smartphone? The Tech Reviewers like Putu Reza, InfiaTech, Buddy Hape & Droidlime reported that the latest Vivo smartphone with the name Vivo V7 or V7 + will be present with innovations in the front camera higher resolution than ever before. Not to mention the prediction of Tech Influencer Putu Reza or @papersboy talking about bigger screen displays. In addition, leaked images that circulate also shows the main screen is almost frameless or Bezel-Less, and without a physical home button. Could Vivo Smartphone want to give a statement that smartphone Vivo will appear with the design "Infinity Feeling"? Or will there be new screen display technology that will be carried by Vivo Smartphone? With a borderless display and a physical Home Button, speculation about the fingerpint scanner that is usually pinned on the home button is a concern. Will Vivo place the fingerprint scanner in any other area of ​​the smartphone, or is it the momentum of the Under Display Fingerprint Sensor technology or the fingerprint scanner inside the screen is beginning to be applied by Vivo for the Indonesian market? Will all these advantages be true? What advanced features are ready to complement the latest Vivo smartphone later? Let's wait for confirmation from Vivo Smartphone about this new product rumor in circulation.